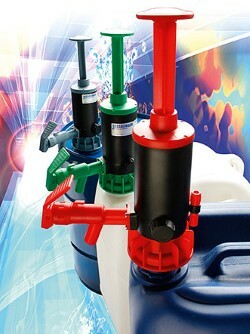 Pulse output or quantity preset for controlling a pump, a magnetic valve or a ball valve as an option. 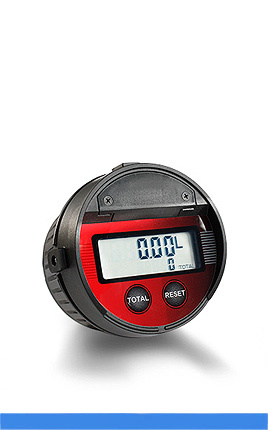 The turbine wheel counter is a volume meter. The speed is proportional to the flow rate. Oval wheel counters belong to the group of direct volume meters for liquids with movable partitions (displacement meters). 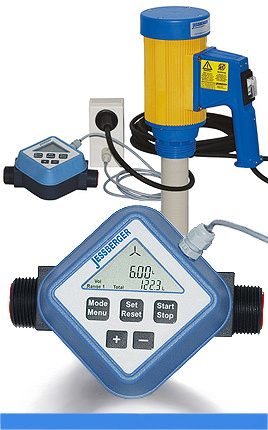 The oval gear counter with electronic counter has been designed to measure motor oils (S.A.E. 5-50), gear oils (S.A.E. 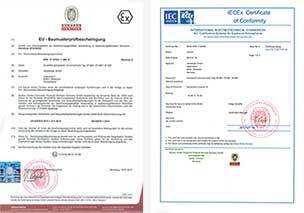 80-240), transmission fluid, coolents (ethylene glycol), brake fluids and wiper fluids. 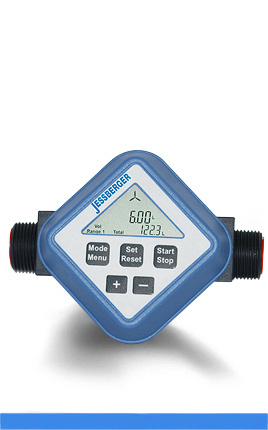 The electronic flowmeter FM-120 series are used to measure the flow of aqueous and water-like media for the non-approved applications. 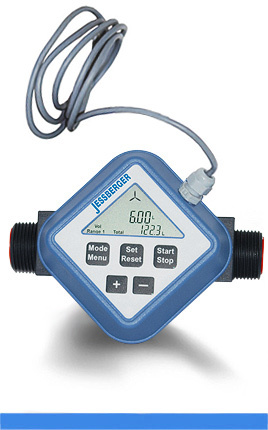 The flowmeters of the FM 120 series can optional supplied with the function of a quantity preset. This makes it possible for the user to fill a predetermined volume by means of a pump or control a 230 volt magnetic valve or a ball valve in a pipeline precisely.